If you’re on the edge of your seat waiting for the release of Silence, Martin Scorsese’s adaption of the classic novel by Shūsaku Endō, check out the foreword to the 2016 edition, excerpted below. 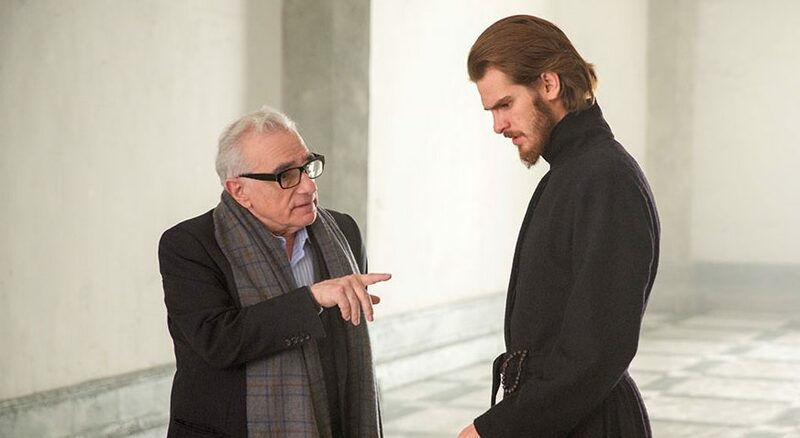 Written by the movie magician himself, Scorsese reveals how the novel has been intensely personal for him, and why it is this story–one of persecution, doubt, and betrayal–that best illustrates Christian faith. How do you tell the story of Christian faith? The difficulty, the crisis, of believing? How do you describe the struggle? There have been many great twentieth-century novelists drawn to the subject–Graham Greene, of course, and François Mauriac, Georges Bernanos and, from his own very particular perspective, Shūsaku Endō. When I use the word ‘particular’, I am not referring to the fact that Endō was Japanese. In fact, it seems to me that Silence, his greatest novel and one that has become increasingly precious to me as the years have gone by, is precisely about the particular and the general. And it is finally about the first overwhelming the second. Endō himself had great difficulty reconciling his Catholic faith with Japanese culture. So it was not historical research but his own experience that drew him to the stories of the Portuguese missionaries of the seventeenth century who were forced to apostatize. He understood the conflict of faith, the necessity of belief fighting the voice of experience. The voice that always urges the faithful–the questioning faithful–to adapt their beliefs to the world they inhabit, their culture. Christianity is based on faith, but if you study its history you see that it’s had to adapt itself over and over again, always with great difficulty, in order that faith might flourish. That’s a paradox, and it can be an extremely painful one: on the face of it, believing and questioning are antithetical. Yet I believe that they go hand in hand. One nourishes the other. Questioning may lead to great loneliness, but if it coexists with faith–true faith, abiding faith–it can end in the most joyful sense of communion. It’s this painful, paradoxical passage–from certainty to doubt to loneliness to communion–that Endō understands so well, and renders so clearly, carefully and beautifully in Silence. Scorsese is aptly describing what we could identify as a theology of the cross. Christianity’s central symbol represents both pain and paradox–the way of the cross rarely holds for us what we expect it to. Silence follows the story of two Portuguese missionaries, Rodrigues and Garrpe, as they head to Japan during a period of intense persecution. Sebastian Rodrigues represents what you might call the ‘best and the brightest’ of the Catholic faith. ‘There were once “Men of the Church”,’ the old Priest of Torcy tells the young, sickly Priest of Ambricourt in Bernanos’ Diary of a Country Priest, and Rodrigues would most certainly have been one of those men, stalwart, unbending in his will and his resolve, unshakeable in his faith–if he had stayed in Portugal, that is. Instead, he is tested in a very special and especially painful way. He is placed in the middle of another, hostile culture, during a late stage in a protracted effort to rid itself of Christianity. Rodrigues believes, with all his heart, that he will be the hero of a Western story that we all now very well: the Christian allegory. He will be the Christ figure, with his own Gethsemane–a patch of woods–and his own Judas, a miserable wretch named Kichijirō. In fact, this is the fate that befalls his fellow missionary, Father Garrpe. And then, slowly, masterfully, Endō reverses the tide. ‘Why am I being kept alive?’ Rodrigues wonders. ‘Where is my martyrdom? My glorious martyrdom?’ His Japanese captors have a keener understanding of Christianity than he realizes, and he is given a different role altogether, although no less meaningful. I picked up this novel for the first time almost twenty years ago. I’ve reread it countless times since, and I am now preparing to adapt it as a film. It has given me a kind of sustenance that I have found in only very few works of art. I leave you with Silence by the great Shūsaku Endō. Silence has helped me to understand and accept that the age of the early martyrs was in some ways an illusion, cast back upon the first centuries of Christianity by a later dominant Christendom. The Roman persecutions were neither very extensive or systematic, and in the first centuries of Christianity most Christians lived peaceful lives unmolested by the Roman authorities; their situation was usually better off than that of Jews in Christian countries in the Middle Ages. Furthermore, the hagiographies of the early martyrs often reveal people who really seemed intent on pursuing death, who preferred a death in the throes of the certainties of faith to continued life in this world of compromises and doubt: i.e., the path of martyrdom could sometimes, or even often, have ironically been an avoidance of a living with an experience shaped by a theology and spirituality of the cross. Is it be any wonder then that the Romans thought of these early believers as haters of life? In certain respects, I’ve come to believe that they were. Silence has taught me to see that zealotry does not serve faith when it undermines the value of life in and for itself; after all, life as much as faith is a gift bestowed by God.